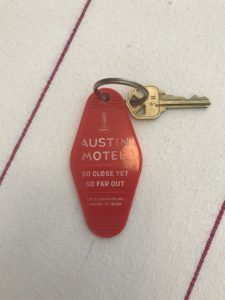 The Austin Motel. So close, yet so far out. “What did it used to be?” This is the question I’m asked by one of my best friends, Deb, any time I tell her I’m going to eat at a new restaurant or have cocktails at some new hipster bar. 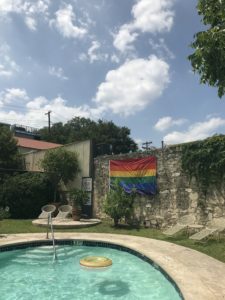 She has lived in Austin since the 70’s, so nothing is the same anymore. Except the Austin Motel. That would never require an explanation because this place has been around so long, South Congress wasn’t even a tourist destination. I love this little gem. As Austin changes and expands, this place has stayed virtually the same. Liz Lambert, the hotel whisperer, bought it a few years back and gave it some updates. She preserved its original character and with it, the charm of an old motor lodge from a by-gone era. 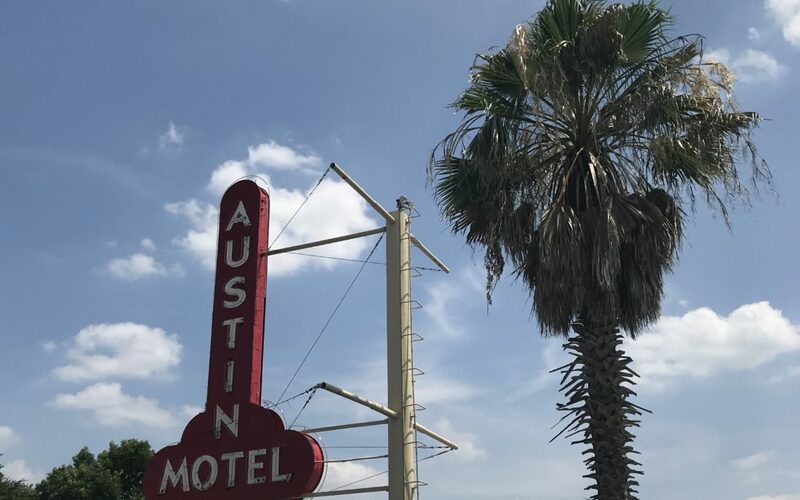 Other hotels have opened on South Congress, but this will always be the original, and my favorite. The rooms are simple, yet stylish. 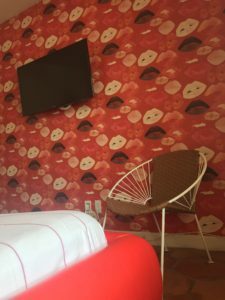 The wallpaper in our room, red background with red and black lips all over it, perfectly contrasts the new flat screen TV’s. 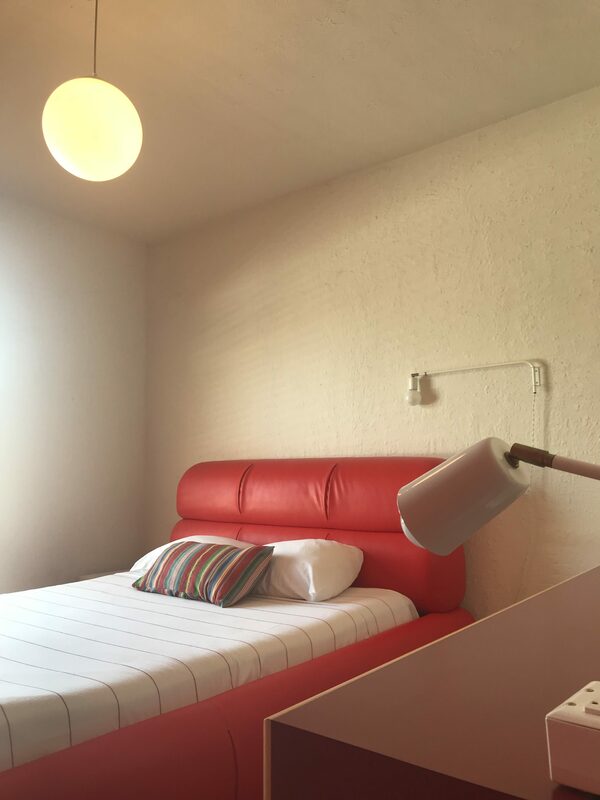 The beds are vintage looking, with puffy red headboards and really simple bedding. 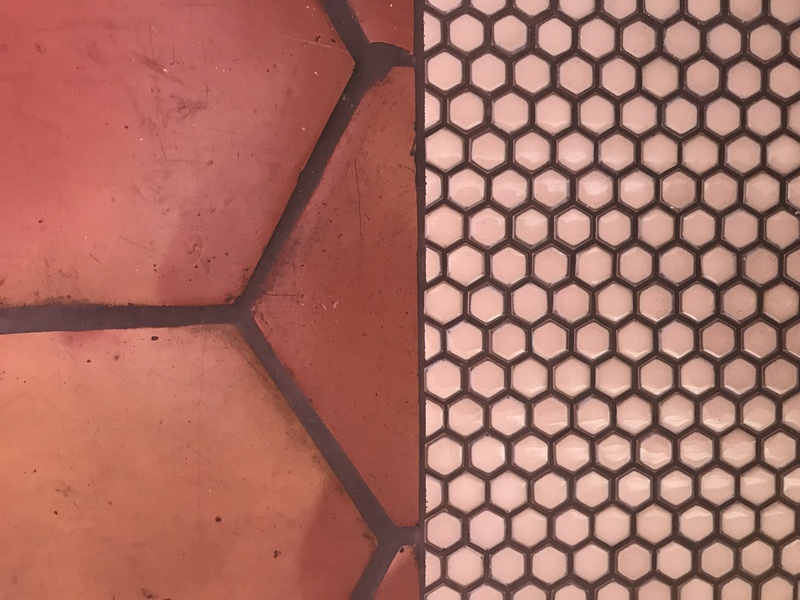 There is Saltillo tile in the bedrooms and subway tile in the bathrooms, very classic. 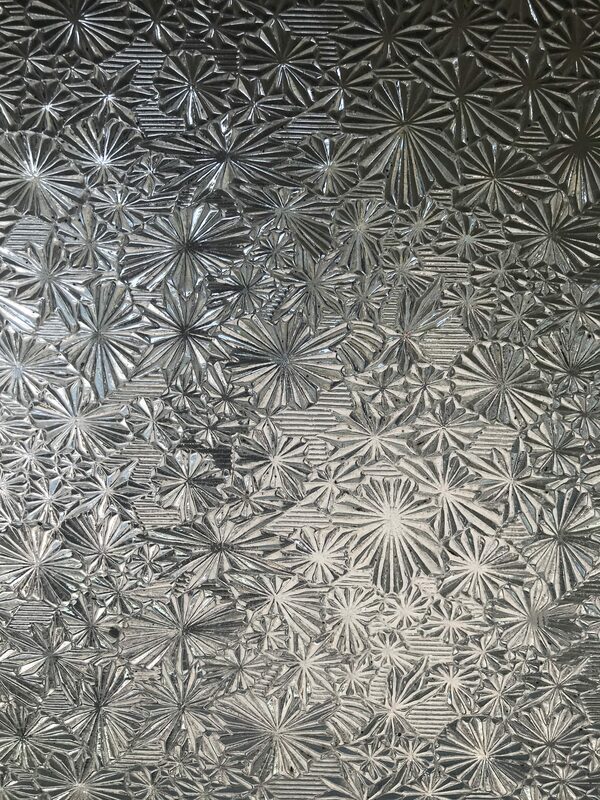 The bathroom windows remind me of something out of the 70’s; textured and frosted with little floral designs. 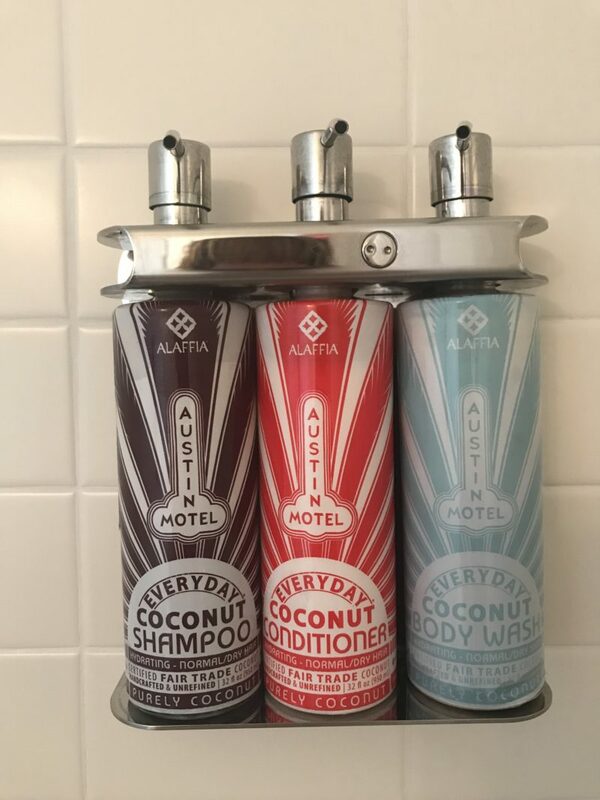 They even have Austin Motel branded products in the shower. 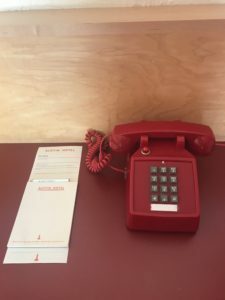 If you have to do business while you’re there, each room has a red phone and notepads for writing, sitting on top of a long counter and a little stool that you could work from, but good luck. The pool will be calling your name. The pool is the icing on the cake!! It has a deep end, unlike many pools nowadays and the trees around it provide a bit of shade at any time of the day. 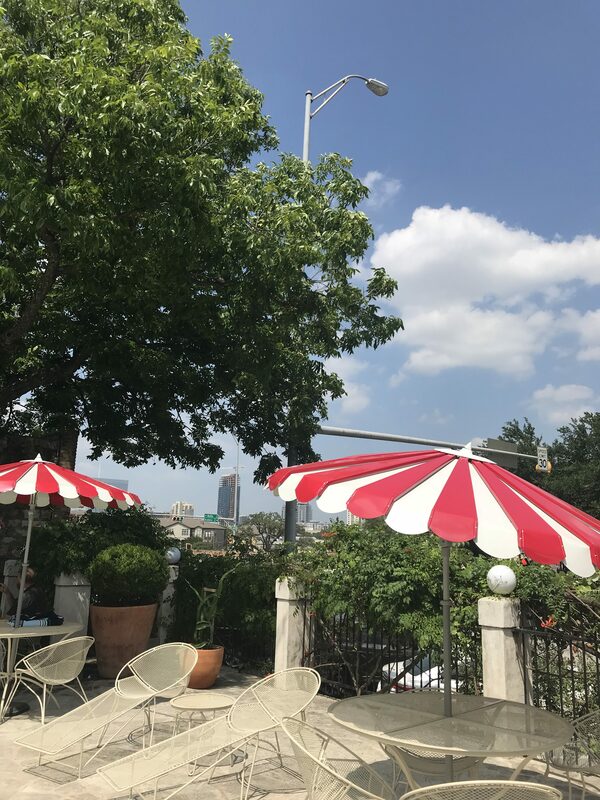 Red and white umbrellas sit on top of old school metal mesh tables. 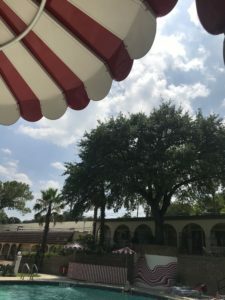 There is a view of downtown from the pool area, but the people watching is usually better than the view. Back in the day, it was THE place to be during SXSW. These days, they sell floaties, beer and snacks in the lobby, which has been turned into a cute little gift shop. 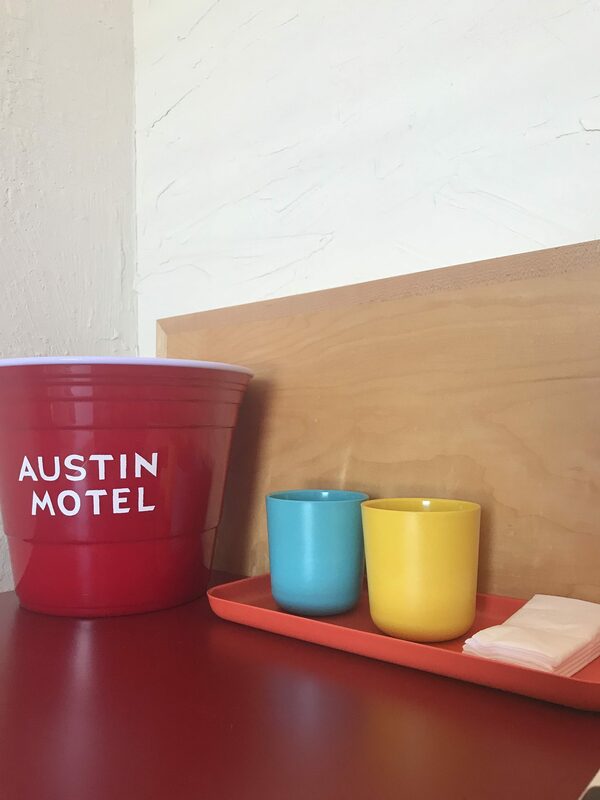 If you ever find yourself wondering what to do with a lazy, hot afternoon in Austin, Texas, my suggestion would be to run, don’t walk, to rent a room at the Austin Motel and lounge the day away. Just don’t run around the pool. This is a interesting, informative and fun blog. The pool is fantastic. Oh, this is just heaven!! I so wanna go next time I’m in Austin! UPSTAGED Home Staging + Interiors© 2018. All Rights Reserved.